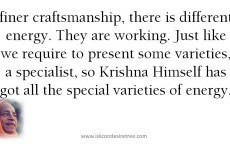 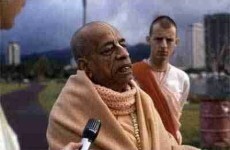 Lecture by His Divine Grace A. C. Bhaktivedanta Swami Srila Prabhupada, founder of the International Society for Krishna Consciousness (ISKCON). 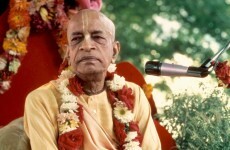 ISKCON is popularly known as the “Hare Krishna” movement, due to its members’ widespread practice of chanting the Hare Krishna mantra in public. 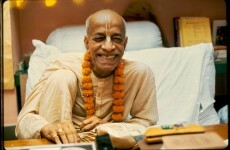 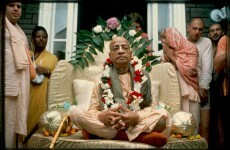 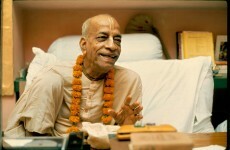 Srila Prabhupada intended ISKCON to facilitate the association and education of bhakti-yoga practitioners, and his followers continue to spread that mission. 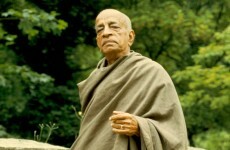 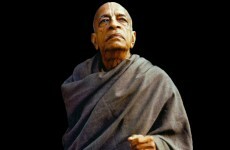 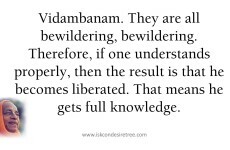 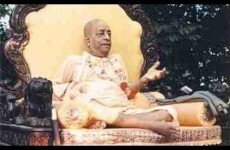 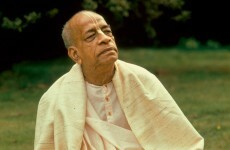 His Divine Grace A.C. Bhaktivedanta Swami Prabhupada (1896-1977) is widely regarded as the foremost Vedic scholar, translator, and teacher of the modern era. 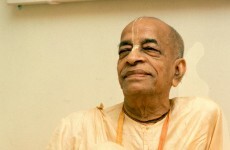 He is especially respected as the world’s most prominent contemporary authority on bhakti-yoga, devotional service to the Supreme Person, Krishna, as taught by the ancient Vedic writings of India. 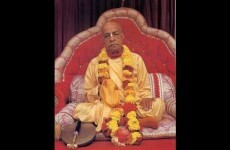 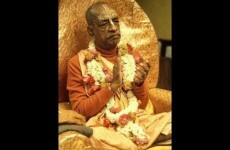 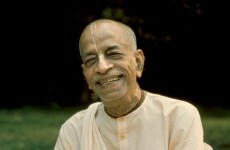 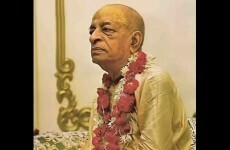 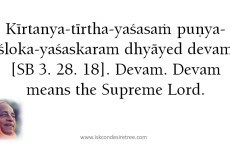 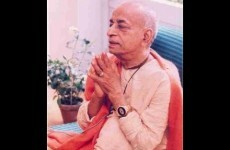 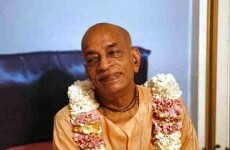 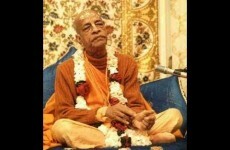 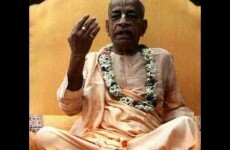 He is also the founder-acharya of the International Society for Krishna Consciousness. 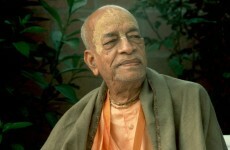 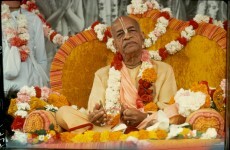 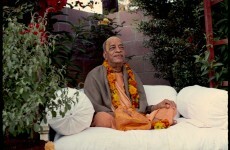 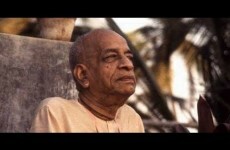 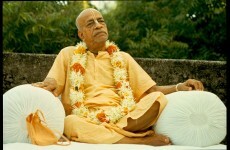 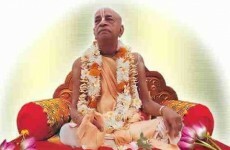 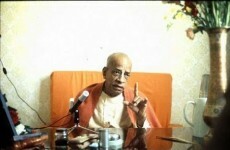 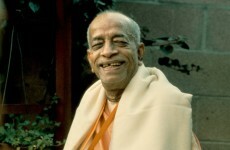 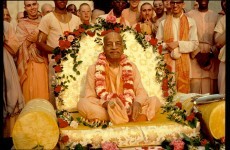 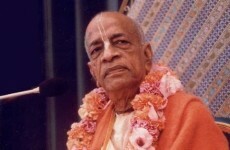 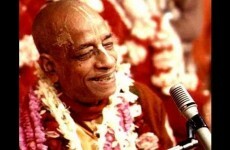 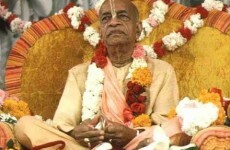 Srila Prabhupada, as he’s known to his followers, translated and commented on over eighty volumes of the Vedas’ most important sacred bhakti texts, including the Bhagavad-gita—a concise handbook for understanding the purpose and goal of human life—and the multi-volume Srimad-Bhagavatam—an epic biography of Krishna, Krishna’s avatars, and His many devotees throughout the history of the universe.